I visited the Hoffmann Family (my sister Cheryl Hoffmann and her family) in Clarkston, Washington to catch up and attend several events including Nate Hoffmann playing in a football game and the Katie Hoffmann 18th birthday party (Nate and Katie are my nephew and niece respectively). Click on any picture below for an ENORMOUS version. 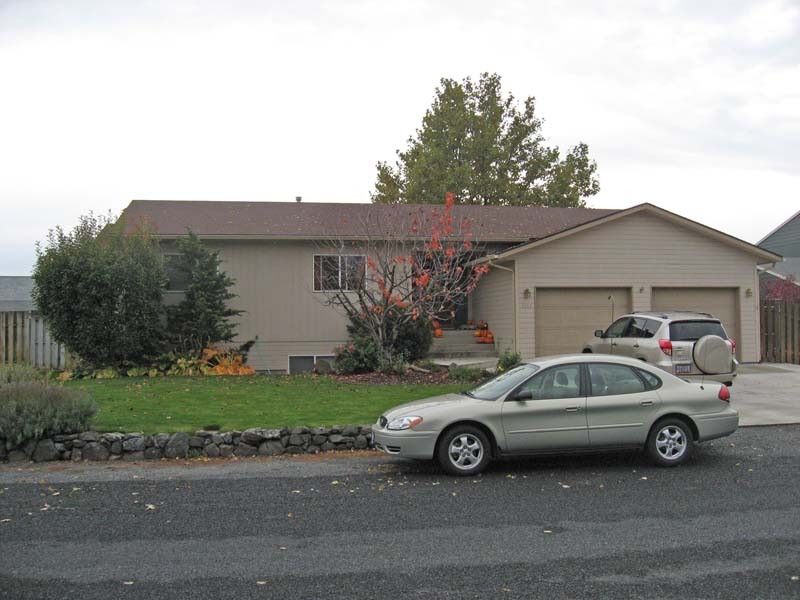 Below is the front of the Hoffmann house (where I was visiting), located at 1717 Westwood Drive, Clarkston, WA. 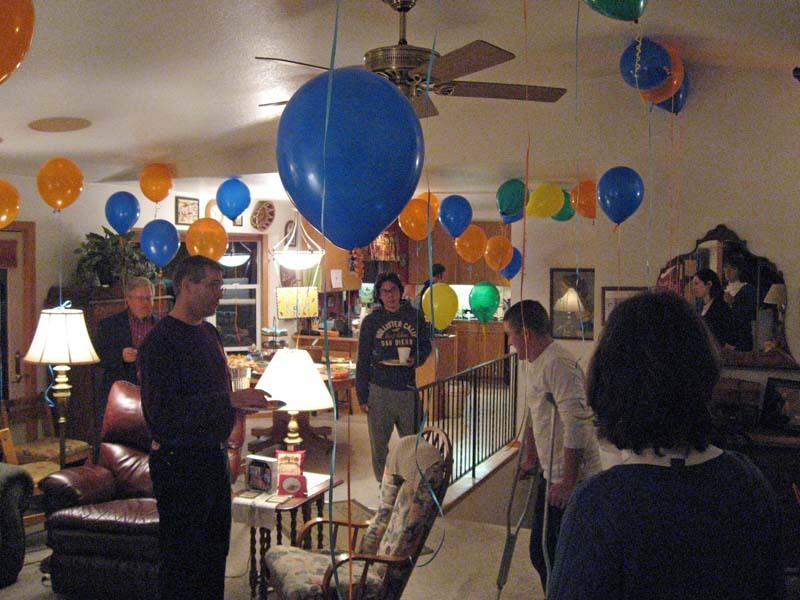 This is the inside of Mark and Cheryl Hoffmann's house. Cheryl is my sister. This is the backyard of the Hoffmann Family house. The dog in the picture is Molly, a golden lab. 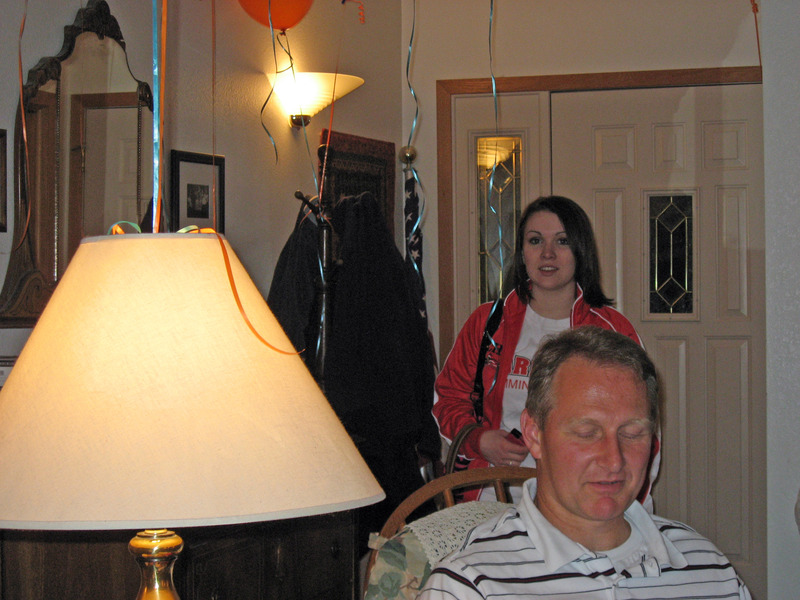 The main event of the trip was Katie's 18th birthday party. Below are a few pictures from the party. On the far left in suit jacket is Mr Piper, then Mark Hoffmann (my brother in law) in a red long sleeve shirt, then Dan Lake in glasses and Hollister sweatshirt. The guy in crutches is Austin. 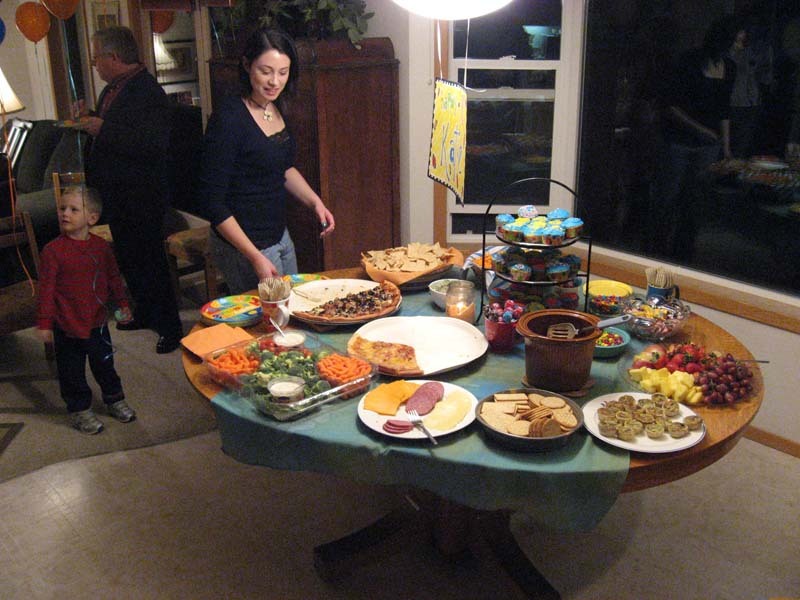 That's Davey Piper in the red shirt on the far left, Davey's father Mr. Piper facing away, and Katie Hoffmann (my niece) at the food table. 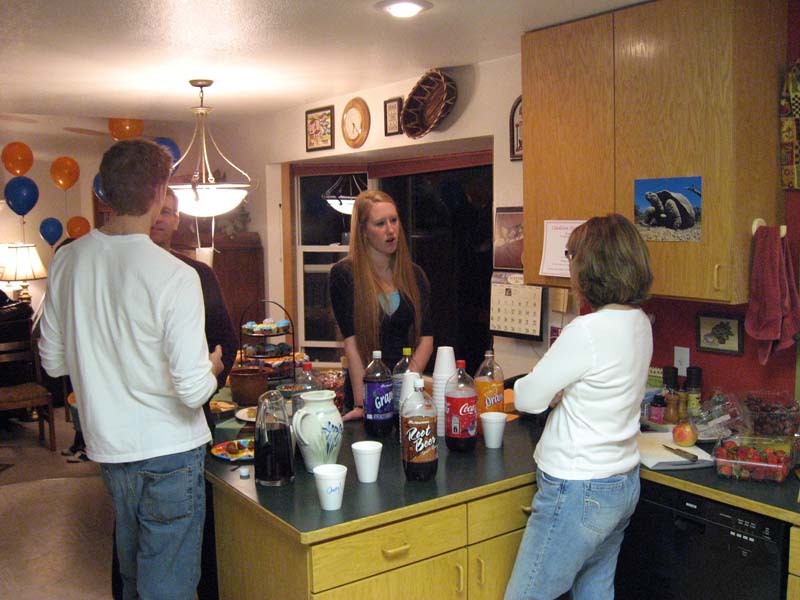 A few of the guests. 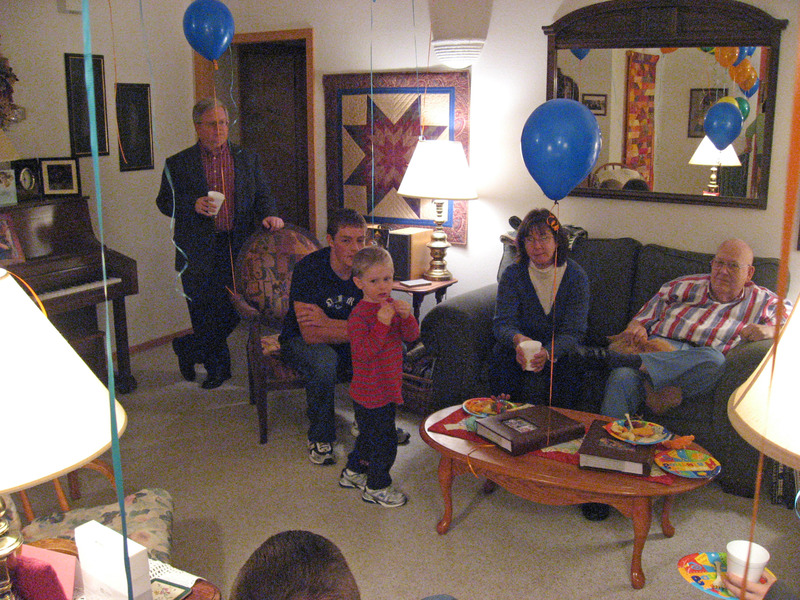 Mr Piper in the jacket, Nathanael Hoffmann, Davey Piper, and Mrs. Piper, and Howard Wilson (Katie's grandfather) on the far right. A few more of the guests. 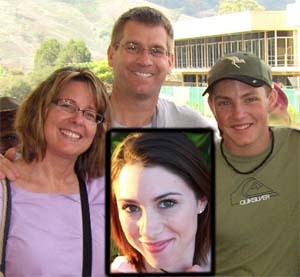 Laura Miller on the left, and her daughter Jerrica Miller in black, and Ethan Miller (the short little guy just behind the lamp). 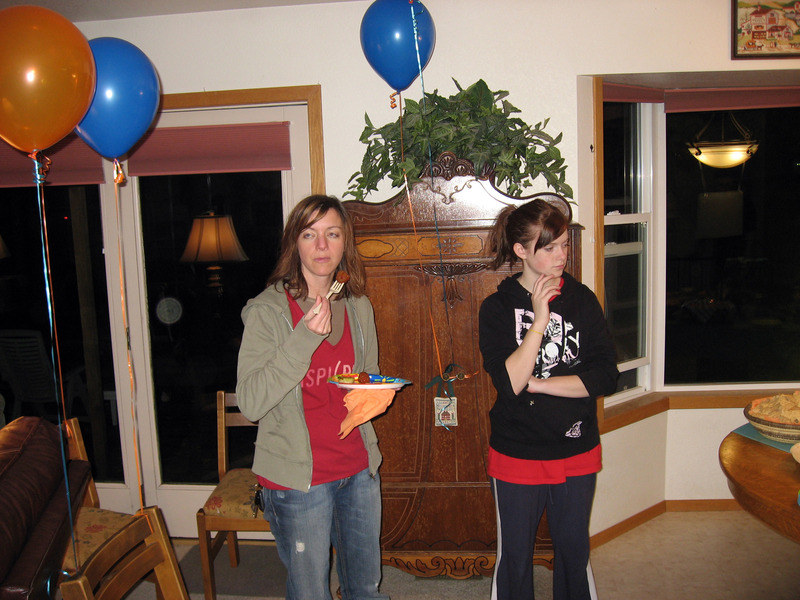 Laura Miller on the left, and her daughter Jerrica Miller in black. 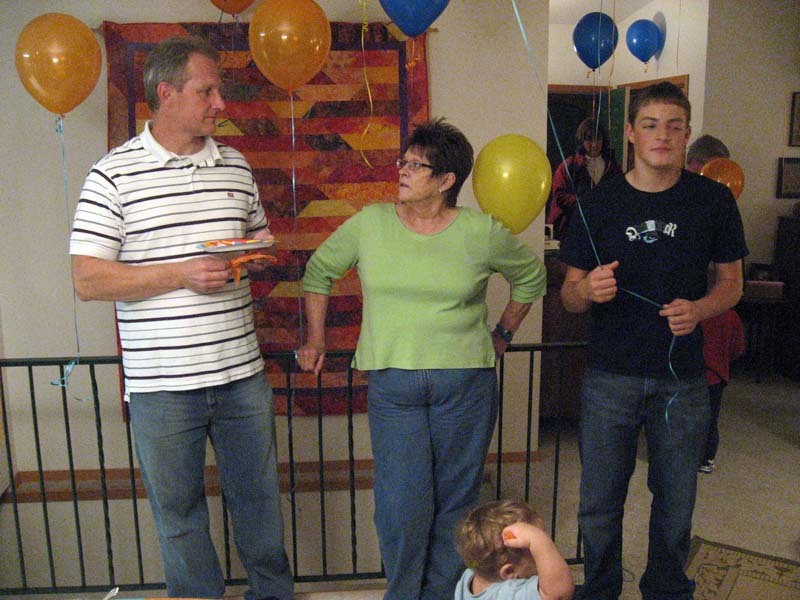 On the left is Mike Mahaffy, Jan Norris (Katie's grandmother) and Nathanael on the right. Mark Mahafee in the white shirt on the left facing away talking with Mark, and Beth Mahafee facing the camera talking with Cheryl Hoffmann. 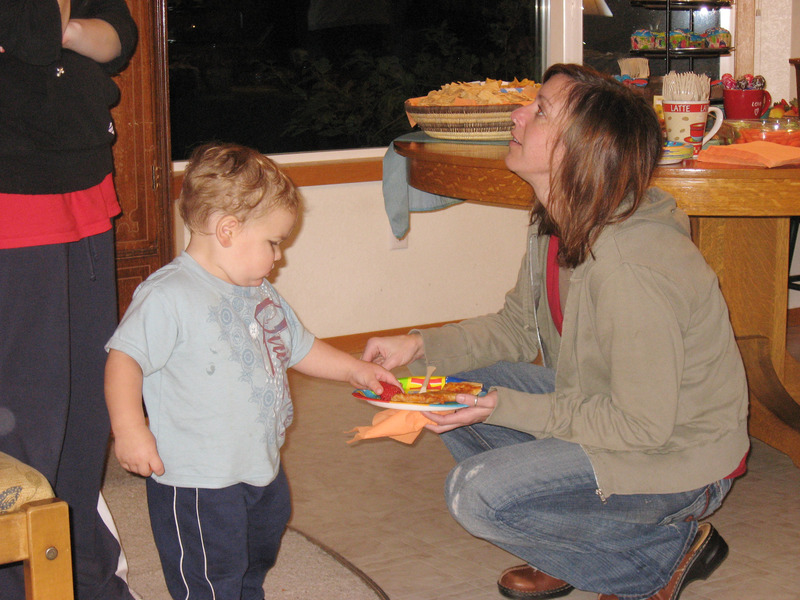 Laura Miller with her son Ethan taking food off her plate. 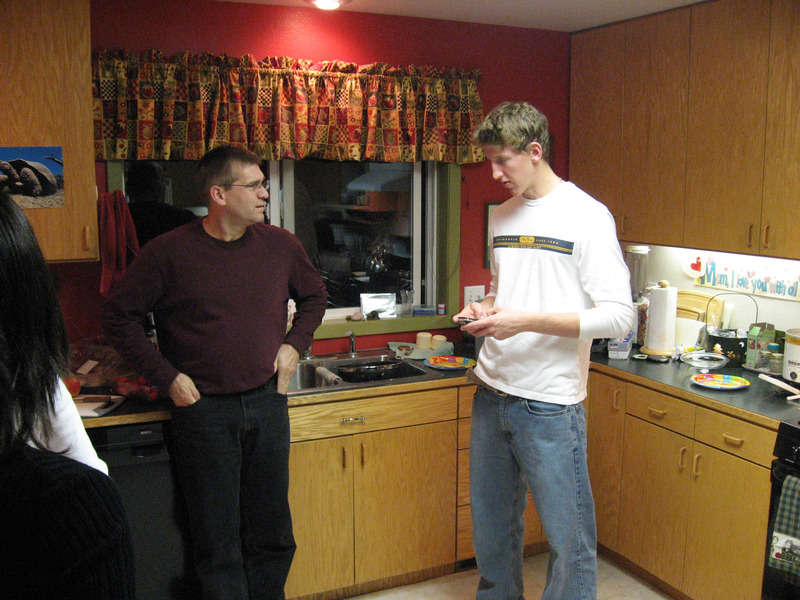 Mark Hoffmann (my brother in law) talking with Mark Mahafee. 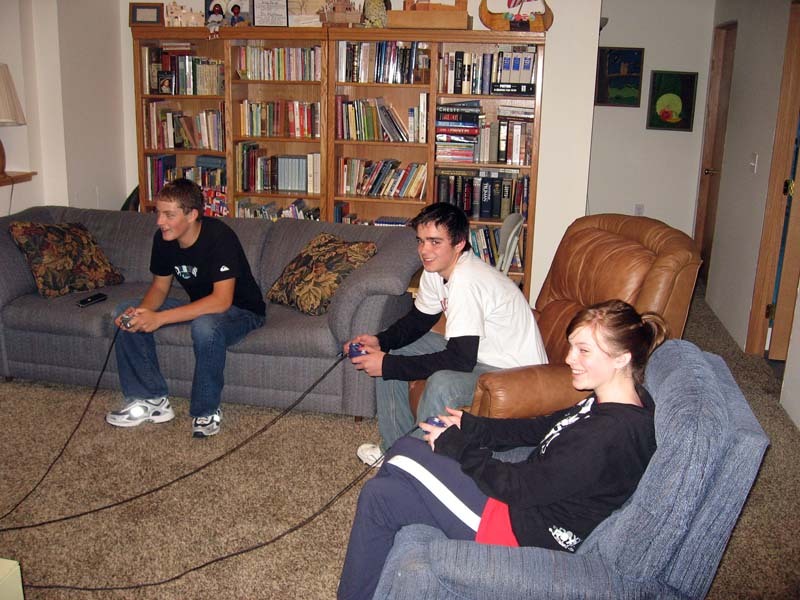 Nate, Luke Gunkel and Jerrica playing Gamecube. 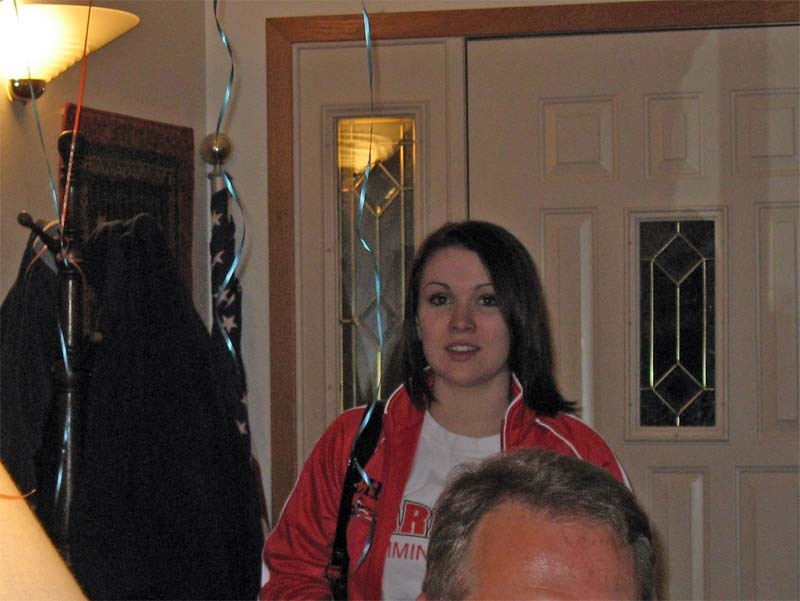 Marissa McPeak walking in the door. 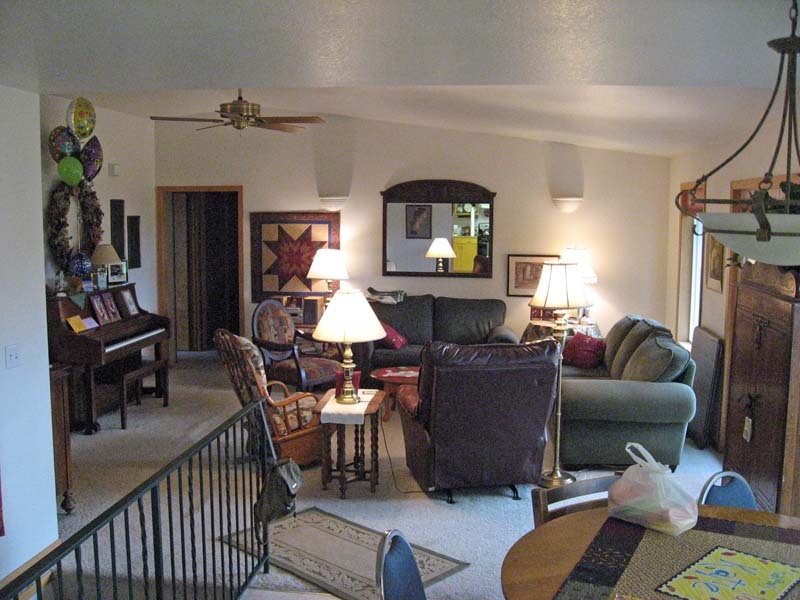 Below is a panorama of the living room. 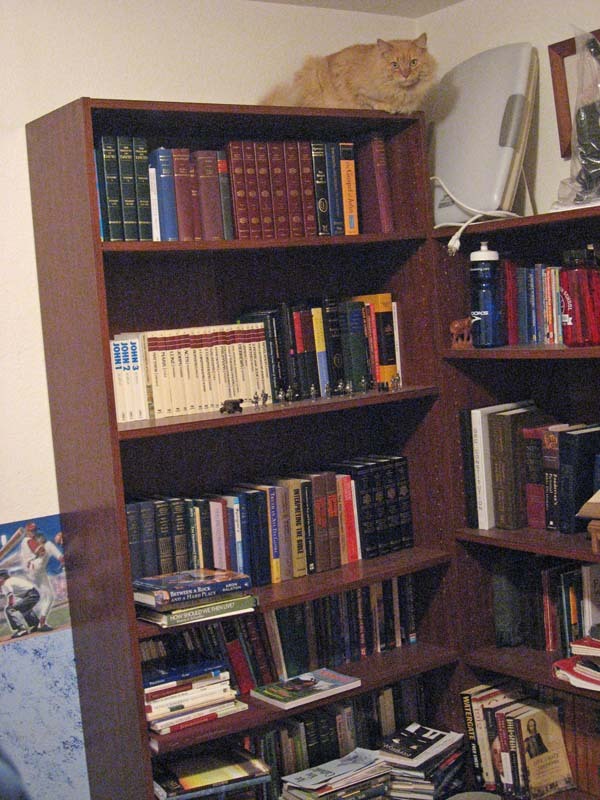 Use your horizontal scroll bar to see the whole picture! 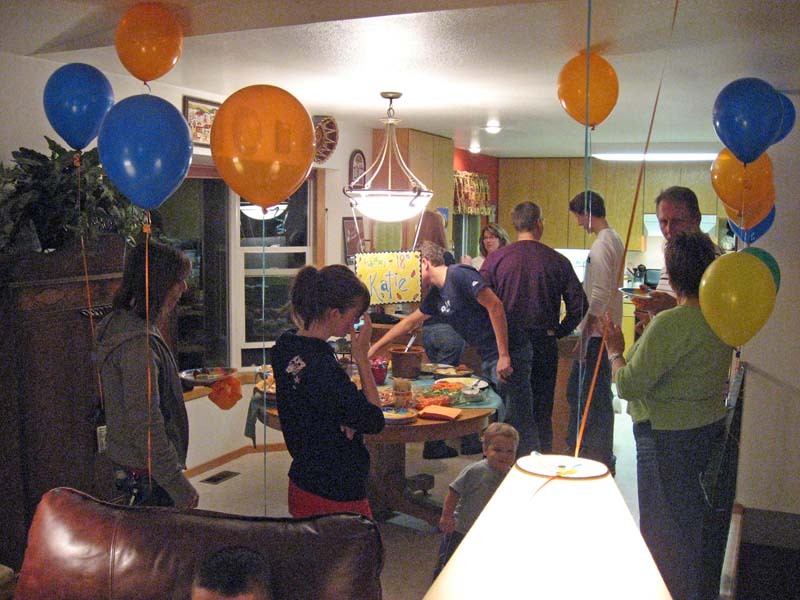 From far left that's Mark Mahafee's head just peaking in, his sister Beth and then to the right in white horizontal striped shirt their father Mike Mahaffy, then Katherine Grace Hoffmann (the birthday girl) on the ground text messaging. Continuing right is Katie's grandmother Jan Norris in the light green top, Laura Miller, Cheryl Hoffmann (my sister) sitting with the big fluffy cat Jean Luise, Ethan (the child) talking with Howard Wilson (Katie's grandfather), and at the far far right is Mark Hoffmann (Katie's father). Another one of the things I was in Clarkston, Washington to do is to watch Nathanael Hoffmann (number 53) play a football game as part of the Clarkston Washington Bantams Freshman Football Team. 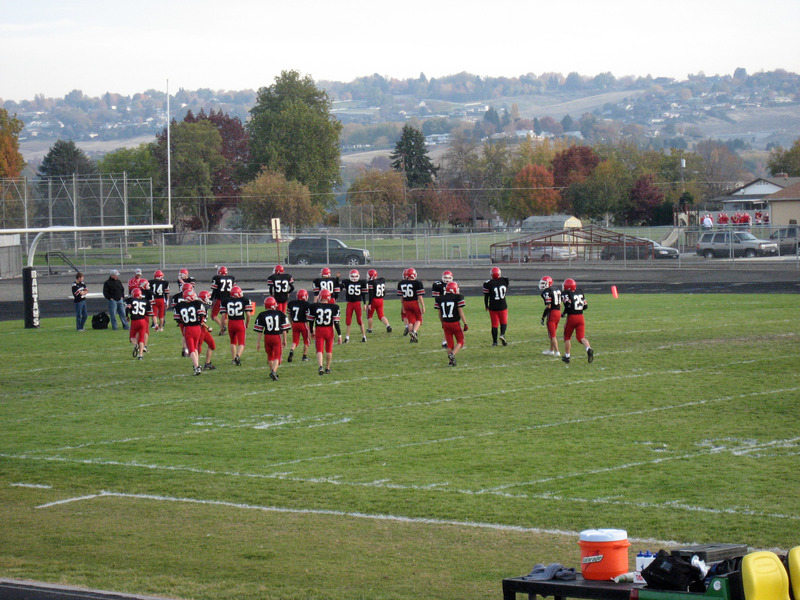 Below is the football field as the Bantams warm up. Nathanael (Nate) Hoffmann is number 53 of the Clarkston Washington Bantams football team. 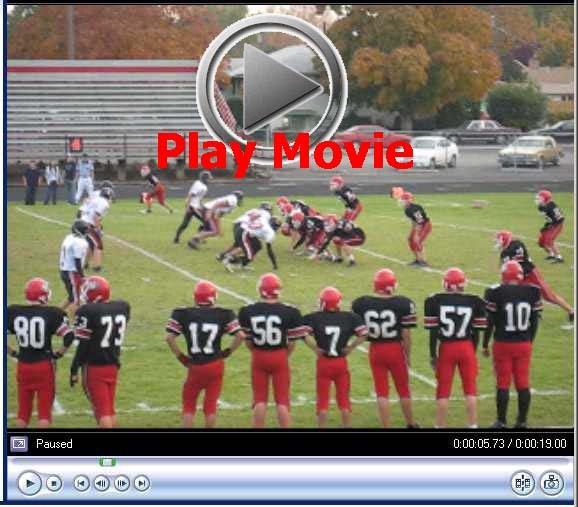 Click the picture below to play a YouTube movie of one play of the Clarkston Washington Bantams Freshman Football Team. Click here for a WINDOWS ONLY much higher quality version. We were all watching from the stands. 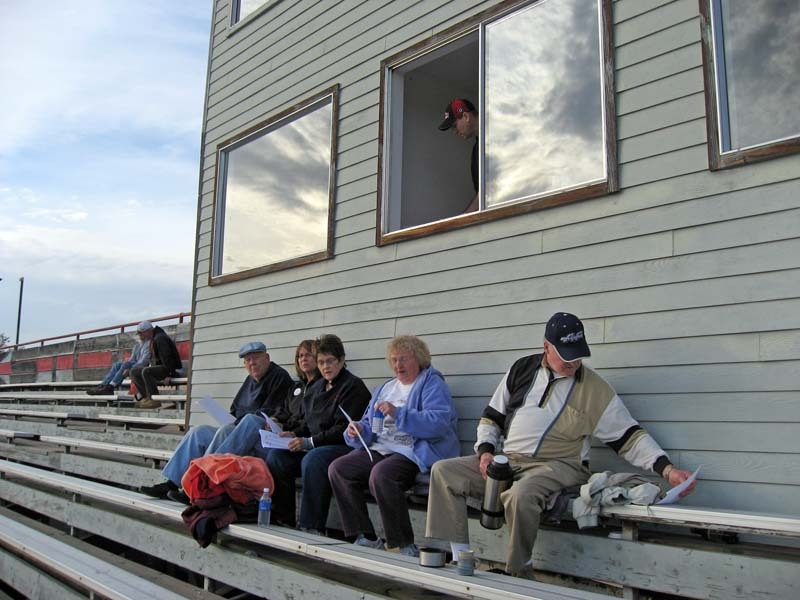 That's Mark Hoffmann peaking out the window above (Nate's father, and the announcer of the football game). Marsha and Ray Hoffmann. Below is one of the Hoffmann cats by the name of "Jean Louise" at the very very top of a 7 foot tall dresser next to the ceiling. I have no idea how she got up there without knocking over anything. 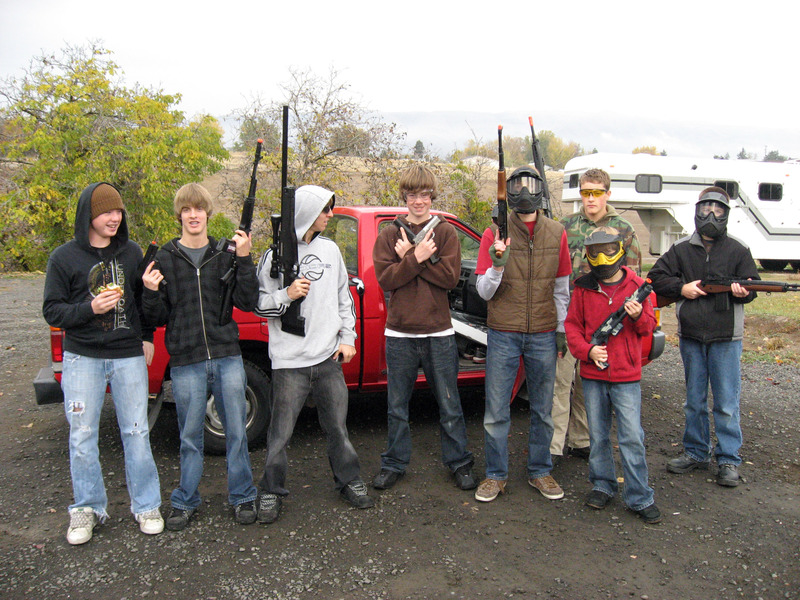 On one of the days, Nate played "Airsoft" with some friends. This is like paint ball, the guns shoot tiny plastic balls about 20 or 30 yards with pretty good accuracy. Below are the kids (age 10 - 17) ready to go play a round. 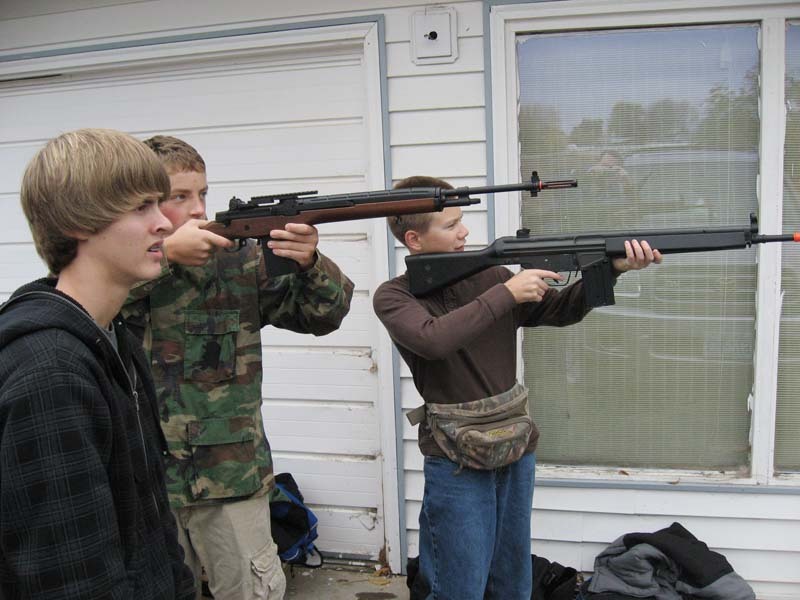 Notice they wear eye protection, and also notice the interesting selection of different airsoft guns, from sniper rifles to shotguns to hand guns. From left to right we have Levi holding the burger, Ryan, Mathew, Josh with two handguns, Tim in brown vest, Nathanael in cammo in back, John in front with shotgun, and on the far right is Levi. 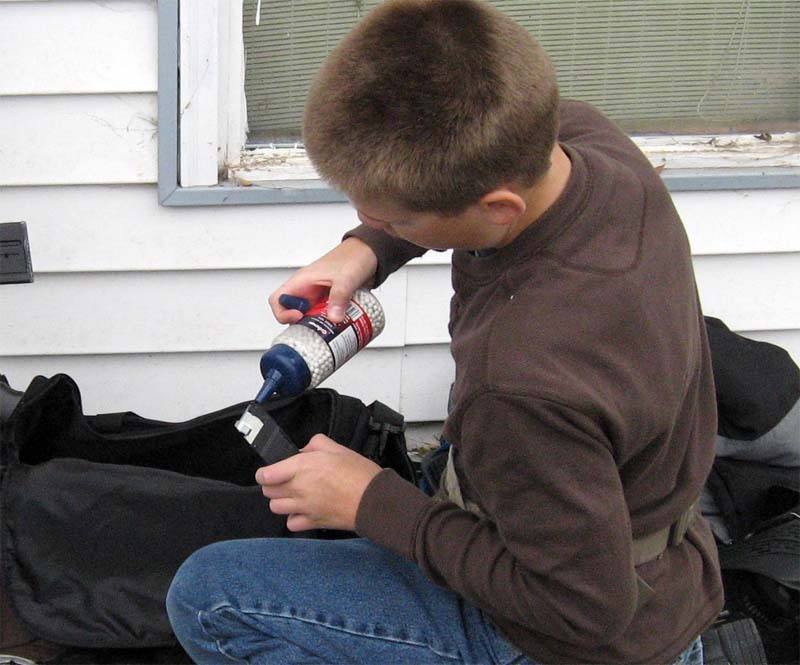 Below you can see how you load an airsoft gun, and what the ammunition looks like. Some guns are powered by cocking a spring, some are electric, and some are compressed air powered. That is Jessie filling the gun. 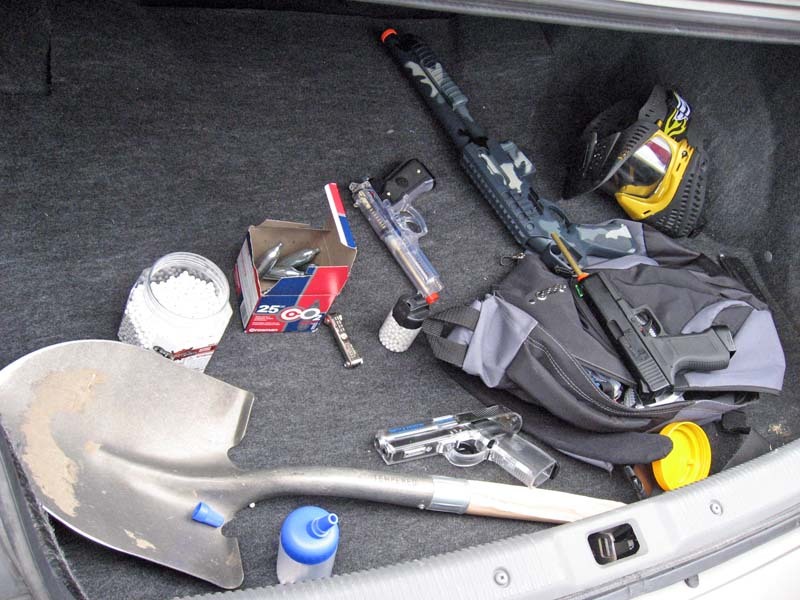 The trunk of a car at the airsoft field that day. The kids told me they buy the balls of ammunition for about $12 for 5,000 balls (see the container on the left). You can also see some CO2 canisters for powering some of the guns, and some eye protection. 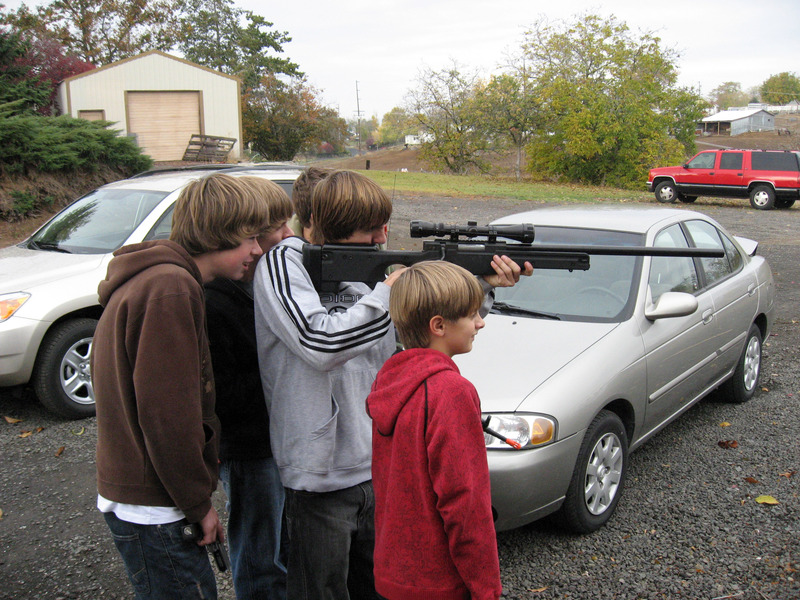 The day I was there they were trying out this new airsoft sniper rifle one of the kids just bought. It was actually quite accurate, but slow to reload (full bolt action single shot). 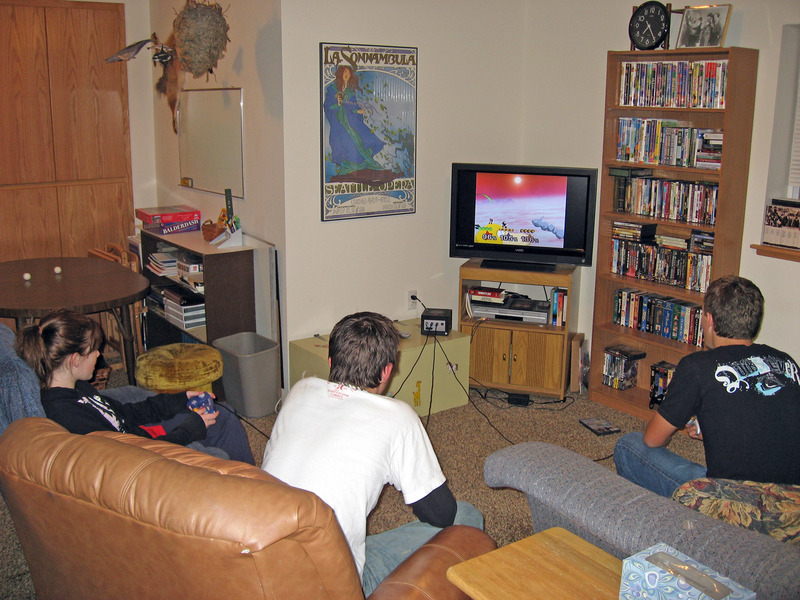 Holding the gun is Mathew, the guy standing behind Mathew is Josh in the brown shirt, and in the red in front is John. On the far far left is Ryan without a gun, Nate in cammo with his automatic airsoft gun. 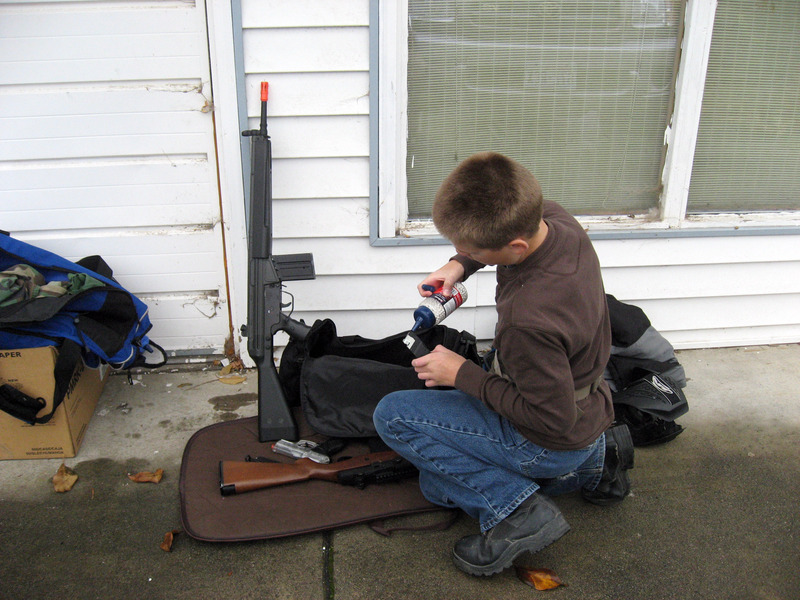 Nate's gun is an M14 that sprays about 16 rounds per second down range in full automatic mode. I think the "M14" means it is a replica of a M14 American Military Rifle that shot 7.62 mm caliber ammunition and could fire either semi-auto or full auto. And that's Jessie on the right with an automatic gun called a "G3". I think the G3 means it is a replica of a Heckler & Koch G3 which was a 7.62 mm German automatic rifle.